A few months ago I signed up to test out a new monthly sheet mask subscription service called Facetory. I have been really enjoying the collection of masks they have sent in their past boxes because of the quality and variety. You can read those reviews here and here to see past collections. This review is on their 4 Fresh Pick which is four sheet masks delivered to your door for $4.95 plus .99 shipping. A special thanks to Facetory for sending me this box in exchange for my honest review. 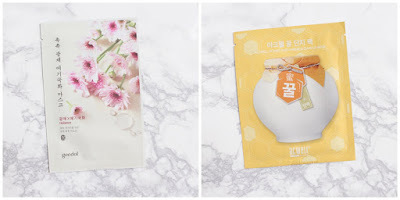 The 4 Fresh Pick box is a great entry level box for kbeauty newbies or for those out there that don't want to break the bank but want good quality masks. This box also features mostly cotton and cellulose mask sheet materials while the Seven Lux Box (past boxes I have reviewed) contain hydrogels or multi-step masks with higher quality ingredients. Let me first mention the packaging! I love seeing this super cute packaging in the mail every month because it makes me smile. The bright yellow and cute graphics are so bright and cheerful. The Seven Lux box does come in a cardboard box while the 4 Fresh Pick box comes in a sturdy bubble wrap mailer with the same adorable graphics. This box includes an equally adorable information card with a detailed description for each mask but some tips and trick on how to make the most of the mask and the box theme as each theme changing every month. 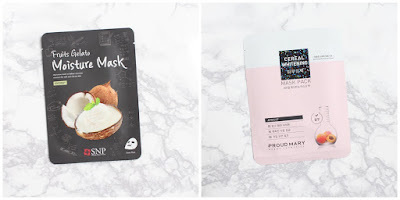 Overall, if you are looking for a mask subscription service that offers a great variety of masks each month then look no further, Facetory is perfect for you! The 4 Fresh Pick box delivers 4 good quality masks directly to your door for as much as a Starbucks drink. I like that this box gives you sheet masks that are great for all skin types, not just targeting one specific concern or skin type. I also love the fact that this box is a wonderful option for those out there on a budget! I am very impressed with Facetory and their subscription services and would highly recommend, in fact, I have a special discount code just for my readers! The lovely folks at Facetory are amazing and are offering my followers a 15% off discount so you can try Facetory for yourself. This discount is only valid on the 4 Fresh Pick Box! I hope that you will give their subscription service a try and as always, thank you for reading and for all your support. Sold! I recently became really interested in sheet masks but I'm lacking variety and this is perfect. I have a question though, when you go to enter a coupon code at checkout it says all codes are for one time use and can only apply to a subscriber's first box. Do you know if this goes for your code as well? I would want to use the 10% off they send when you sign up but I'd also like to take advantage of your code. Thanks for posting!